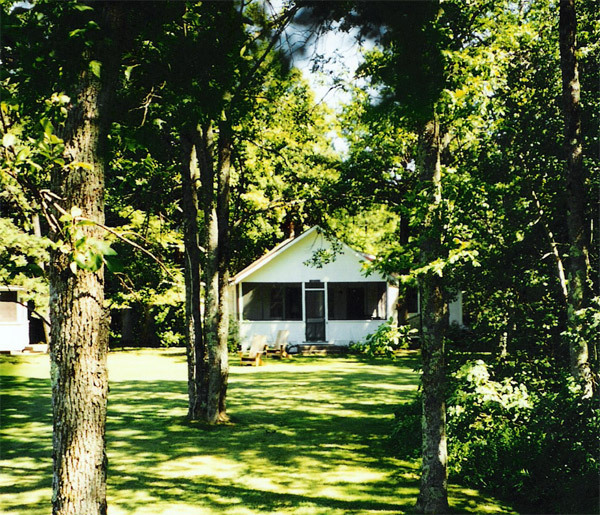 Seven well-kept cottages overlook the spacious lawn and beautiful Kangaroo Lake. 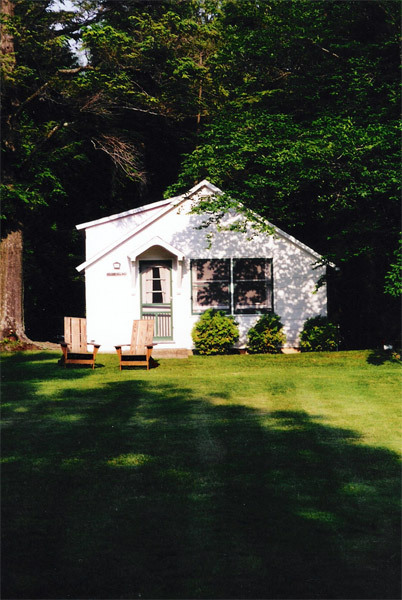 Our one- and two-bedroom cottages are comfortable, clean, and well-maintained. 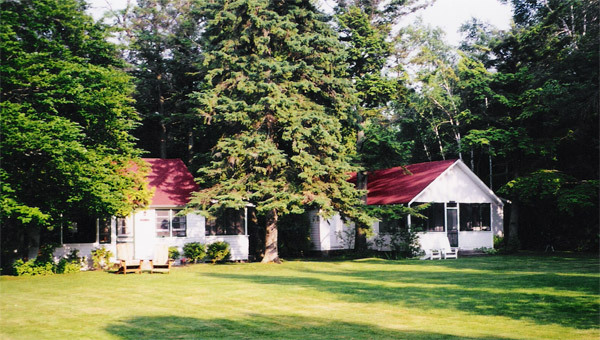 No two cottages are alike—returning guests always have their favorites! Kangaroo Lake is three miles long and 1.5 miles wide. It is wooded all around, and is one of the cleanest and clearest lakes in Wisconsin. The resort boasts over 400 feet of natural shoreline. 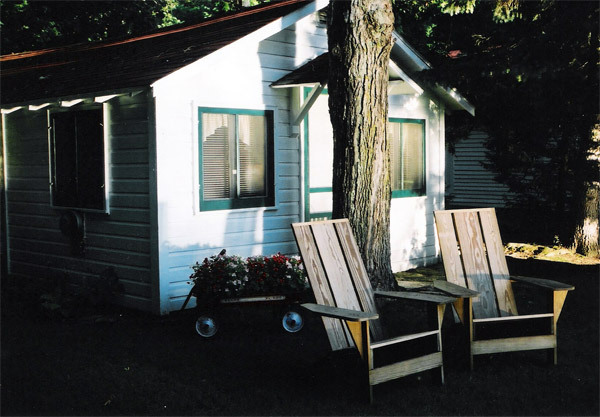 The use of row boats, kayaks and canoes is included with cottage rental. 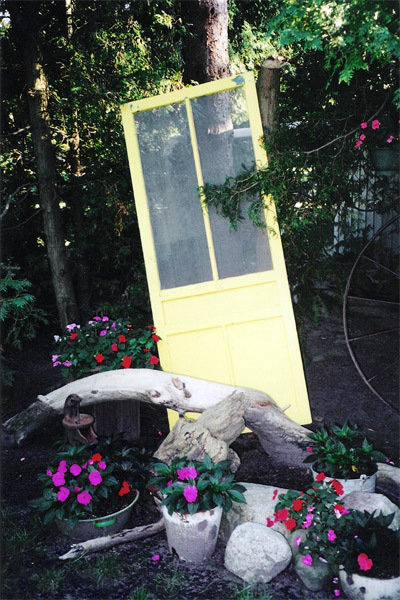 We are open from spring through fall. Our rates for 2016 are listed below each cottage. 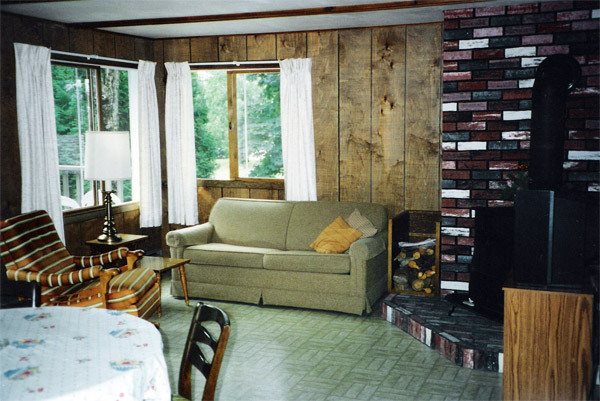 Two bedrooms — one with twin beds, one with queen bed; hide-a-bed in living room; bath; large living room and kitchen combined; Franklin fireplace. One bedroom — double bed; hide-a-bed in living room; bath; cozy living room and kitchen combined; natural stone fireplace. 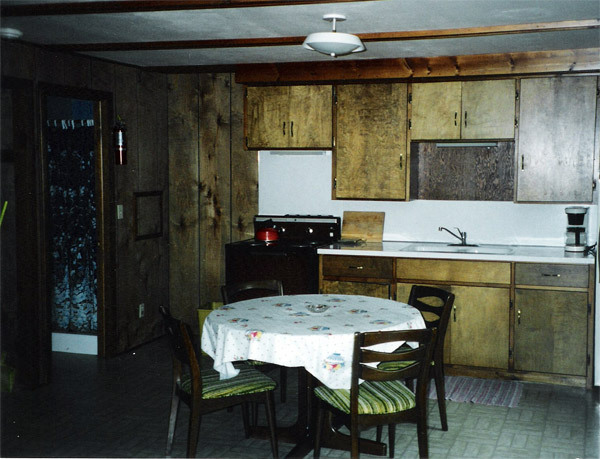 Two bedrooms — one with twin beds, one with queen bed; bath; hide-a-bed in living room; large kitchen; spacious living room; large screened porch facing the lake. Two bedrooms — each with double bed; hide-a-bed in living room; bath; L-shaped living room and kitchen combined. 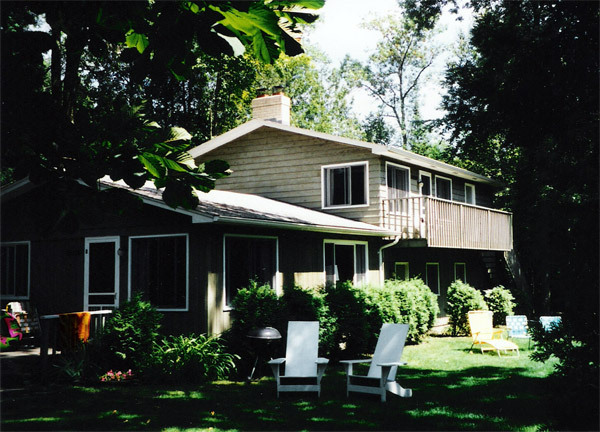 Two bedrooms — one with twin beds, one with queen bed; hide-a-bed in living room; bath; one large kitchen; living room with natural stone fireplace; screened porch facing the lake. 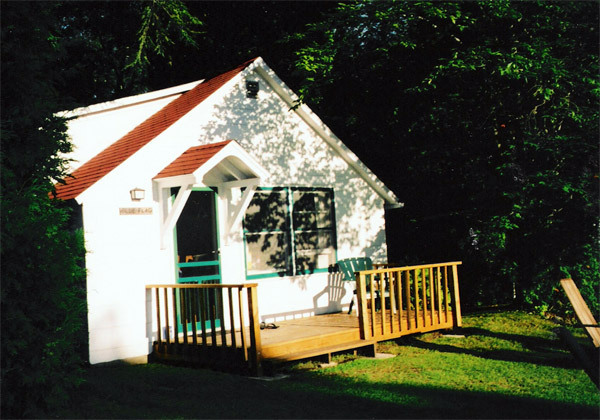 Two bedrooms — one with twin beds, one with queen bed; bath; hide-a-bed in living room; bath; large kitchen; spacious living room; large screened porch facing the lake. Roomy one bedroom — queen bed; hide-a-bed in living room; bath; large living room and kitchen combined; Franklin fireplace; comfortable upper level with pleasant view. 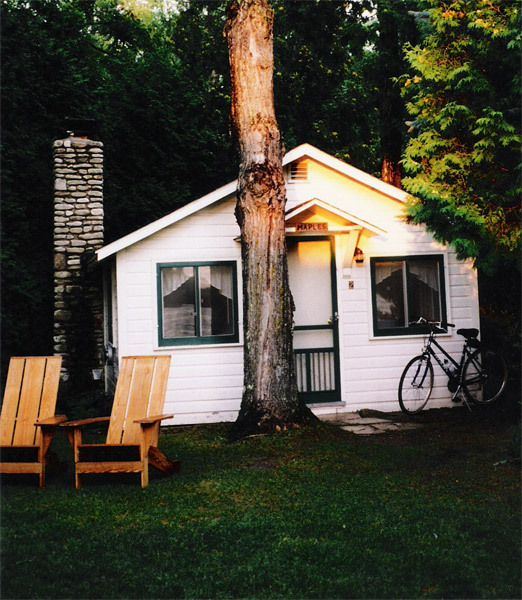 DAILY RENTALS are available, based on cottage occupancy. Bed linens, bath and kitchen towels are not furnished, but can be rented if so desired. We furnish blankets and pillows. Use of kayaks, canoes and row boats is included in your rental. 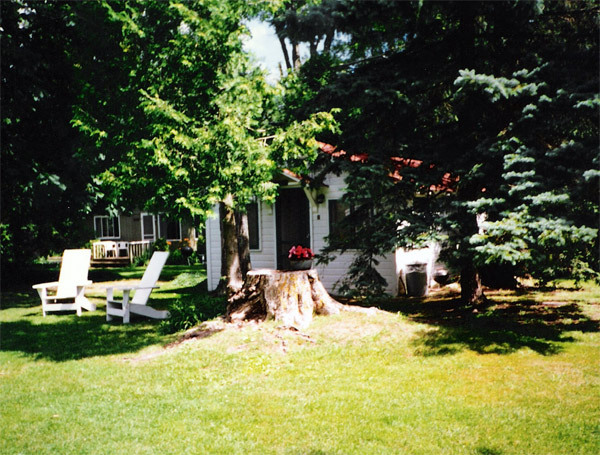 Check-out time is 9:30 a.m.
OFF SEASON WEEKEND WEEKLY RATES are available until early June and after Labor Day. 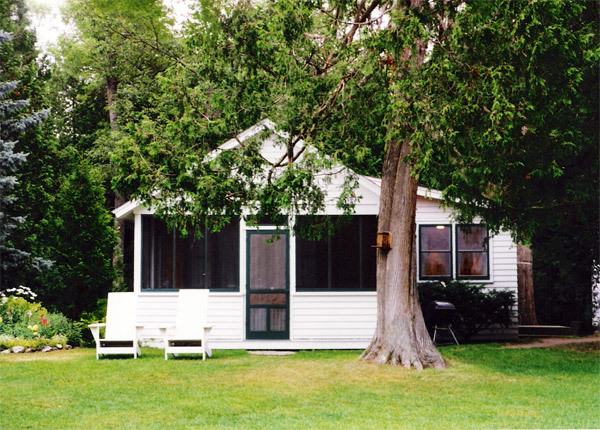 Minimum rate is the four-person rate in a two-bedroom cottage. OUR COTTAGES ARE SMOKE-FREE. THANK YOU FOR SMOKING OUTDOORS ONLY. A 50% deposit is required to hold your reservation. Reservations made by phone will only be held for 7 days unless a deposit is received. 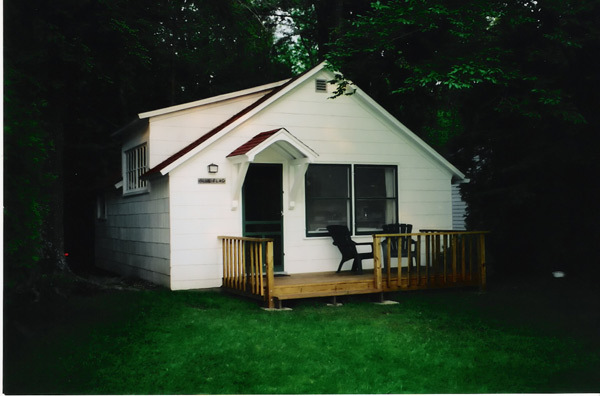 If you cancel your reservation, your deposit will be returned only if we are able to re-rent the cottage for dates reserved. A service fee of $25.00 will be charged for any cancellation. You are responsible for the time you have reserved. If you leave before the end of your reservation, you are obligated to pay for the time we agreed to save for you.